I’ve always been a fan of Korean food because of the mix of various flavors and spices that come together in their dishes. 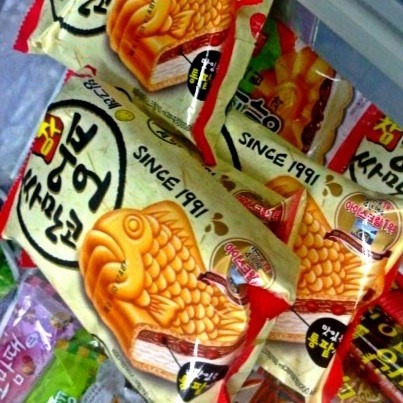 When I discovered Korean fish ice cream years back, I immediately fell in love with it! You might wonder why it’s called fish ice cream. People would usually ask me if it tastes like fish. Not at all! It’s just shaped like a fish hence its name. This sweet delight contains red beans, vanilla ice cream complimented by a layer of wafer coating. I easily get these (yes – “these”, since it’s always a hoarding spree whenever I buy ’em!) 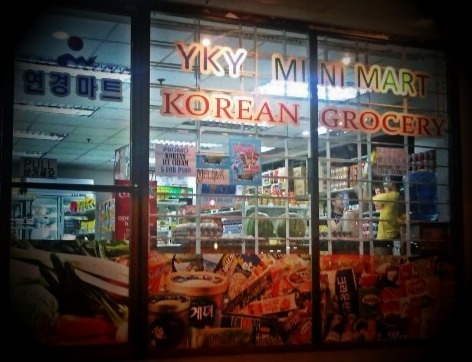 at a Korean store along Annapolis St., Greenhills San Juan. If you haven’t tried Korean Fish Ice Cream yet, I suggest you try it out. The uncomplicatedness of its flavor is quite refreshing considering the huge number of over commercialized ice cream products out there.